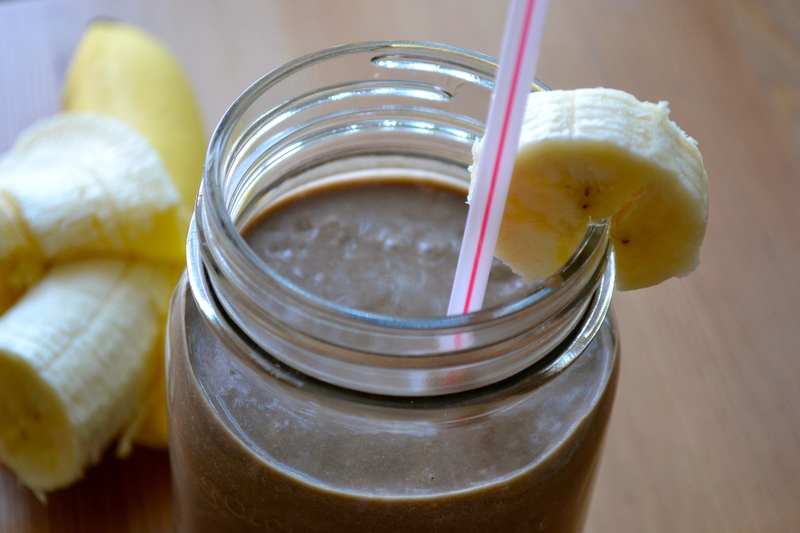 Chocolate, peanut butter and banana are one of those flavour combinations that can be enjoyed any time of year. And booooooy do I ever! 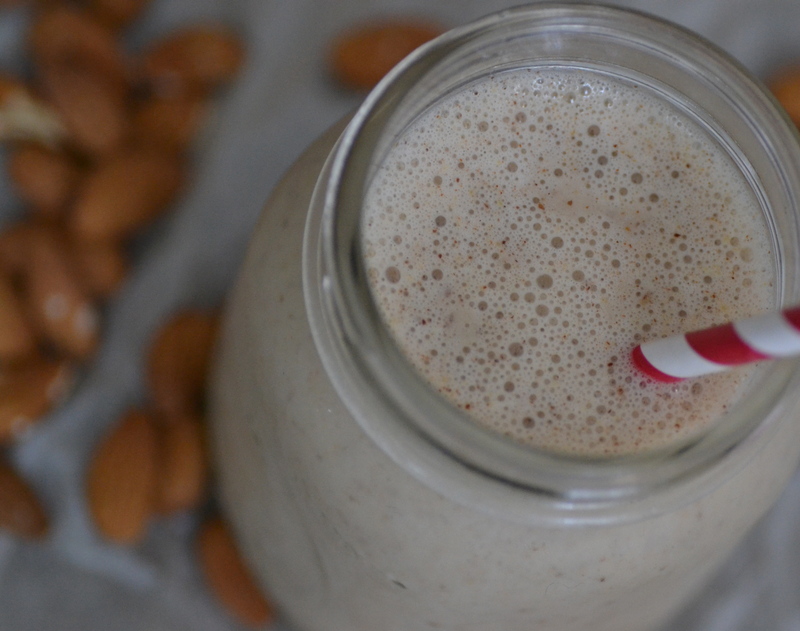 I love it when a smoothie can feel like a dessert, and this recipe totally hits all the right spots. 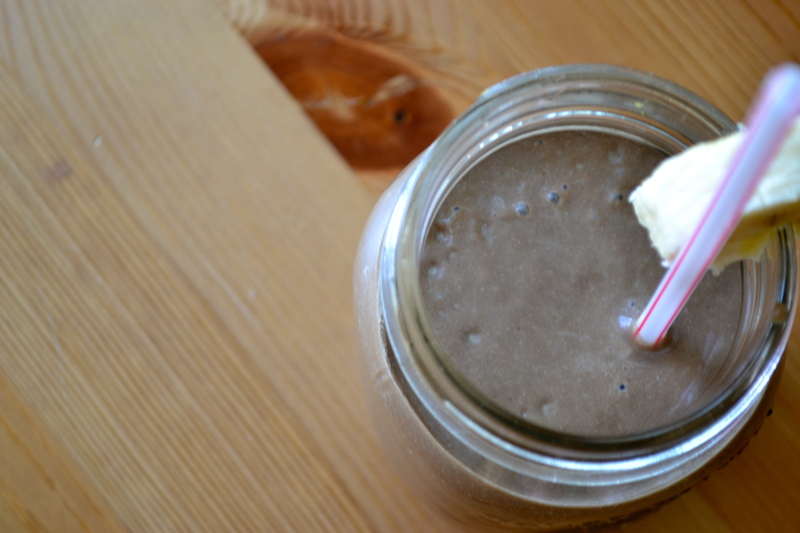 It’s jam packed with chocolate, peanut butter, avocado and banana making my world complete one sip at a time. Enjoy your weekend everyone!! I’ll be kicking back with one of these! 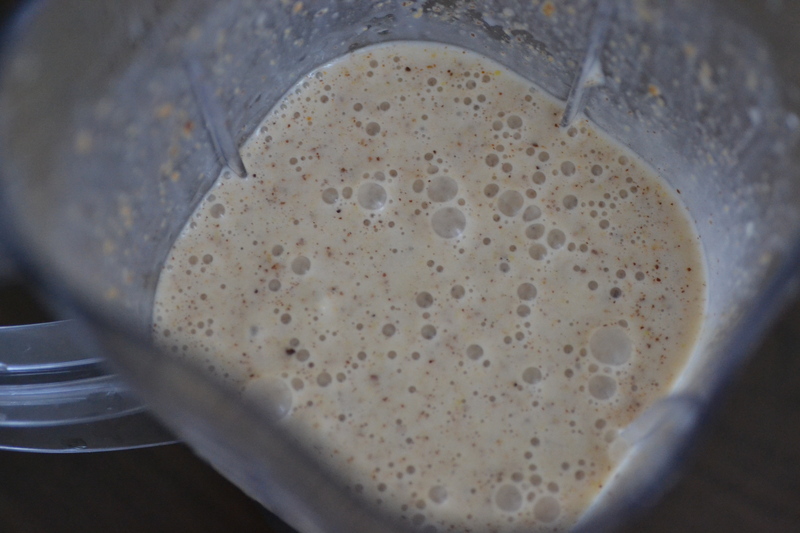 Blend all ingredients together until smooth and garnish with a banana chunk. I had a birthday party for two on the 8th. I turned 25, and the boy and I celebrated with mulled wine, the walking dead, paneer curry…and cake. Ohhhh the cake. It had a toasted marshmallow frosting, a delightful spiced sweet potato based cake and cinnamon brown sugar buttercream. Everything was going splendidly until, seemingly out of nowhere, I broke my buttercream. This will forever be entitled “My 25th: Broken Buttercream Birthday”. Now that’s just not pretty, but it WAS tasty. Like out of this world good. 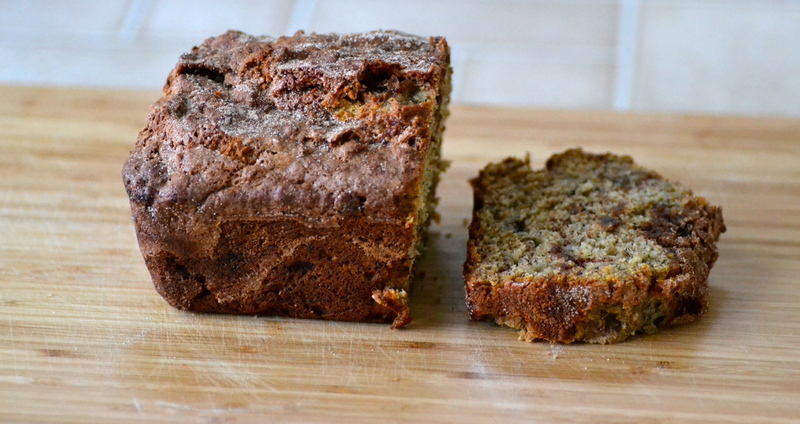 Another delicious thing I made on my birthday was this banana bread. 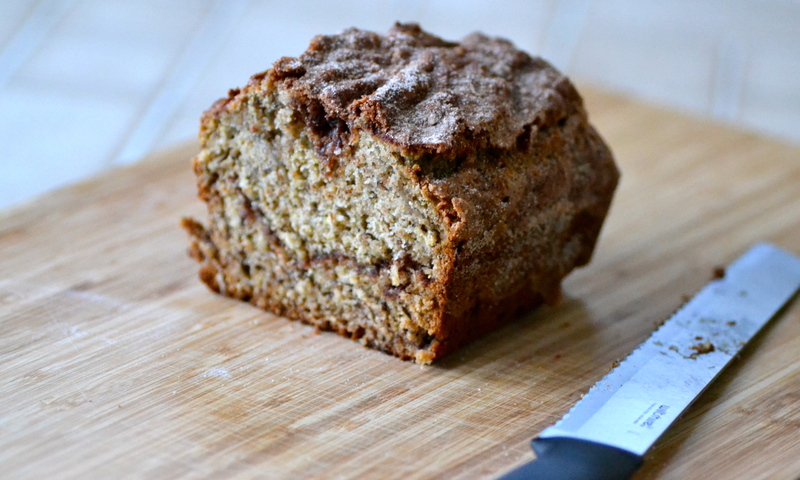 With swirls of cinnamon and sugar throughout this bread it’ll make you think you’re eating a dessert! 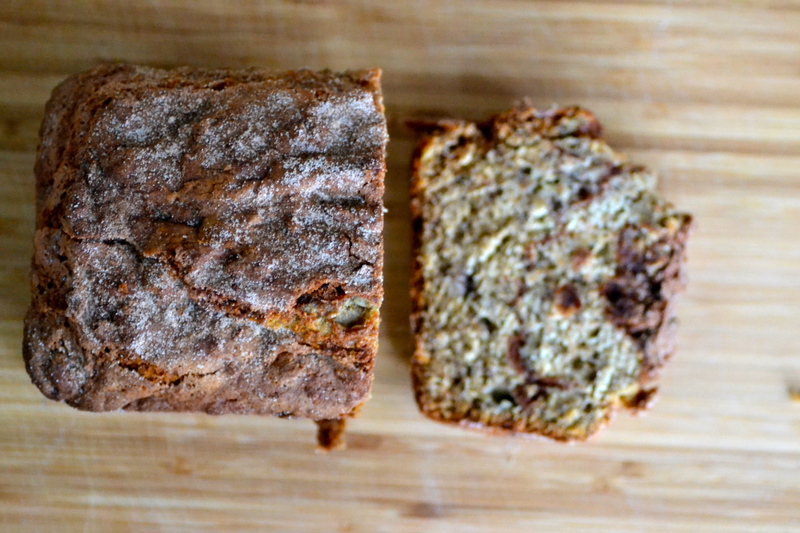 I love all kinds of banana bread, but this one is definitely one of my favorites. Shall we get started? Preheat oven to 350. Butter and flour a loaf pan (mine was 9 x 5). 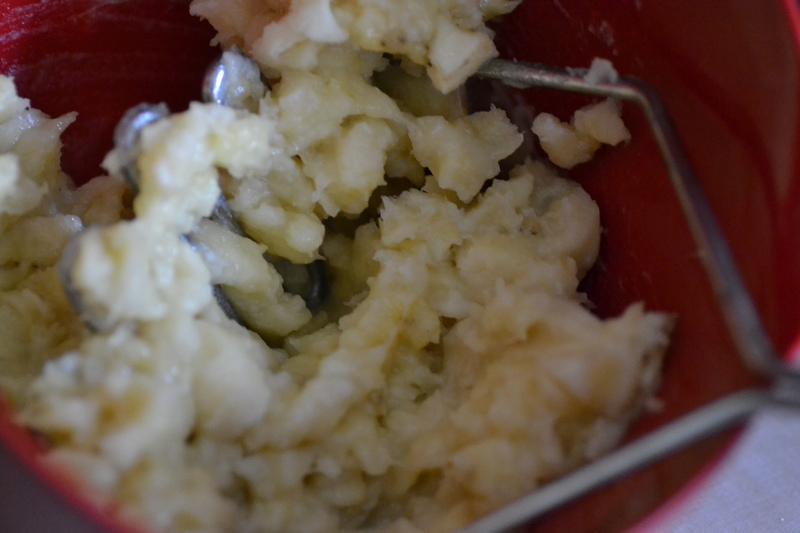 Mash those ripe bananas. 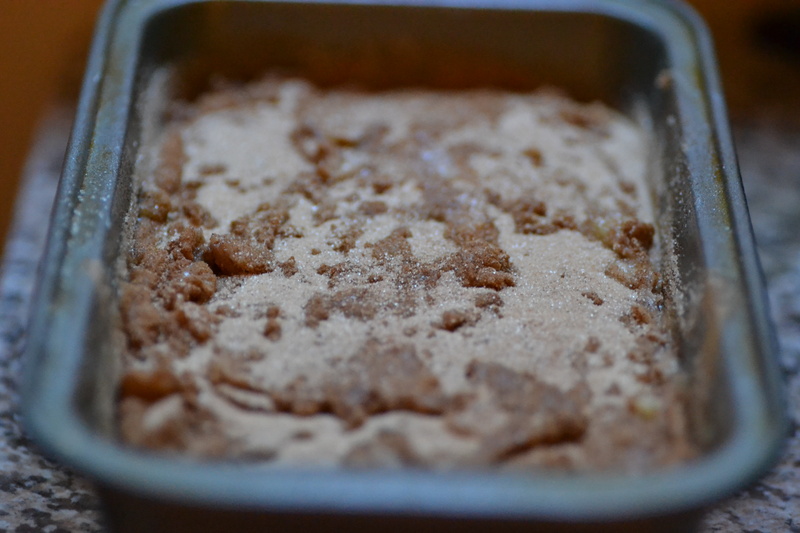 In a small dish, mix together the 1/3 cup sugar and 1 Tbs cinnamon. This stuff makes me giddy. 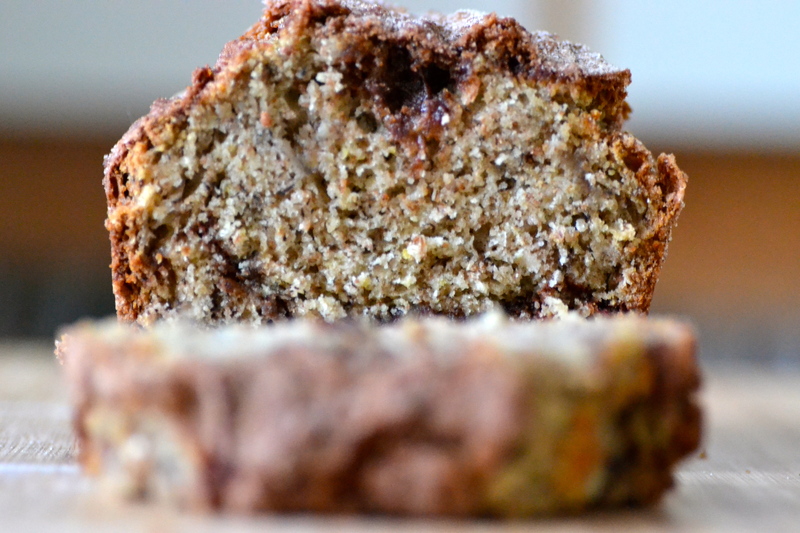 Bake for 50-60 minutes and keep a close eye on it! Let cool on a rack and dig in! Preheat oven to 350. Butter and flour a loaf pan. Mine was 9 x 5, but you could use any sort, I suppose. Just keep a close eye on it in the oven, and adjust the time as needed. Happy November! I can’t express how excited I am for this Sunday to roll around. 1 extra hour of sleep is all kinds of heaven for me. Especially after this wild week I’ve been having at school. Another thing to be excited about is that starting today, November 1st, I will be vegan for an entire month! I hope you guys are willing to play along. 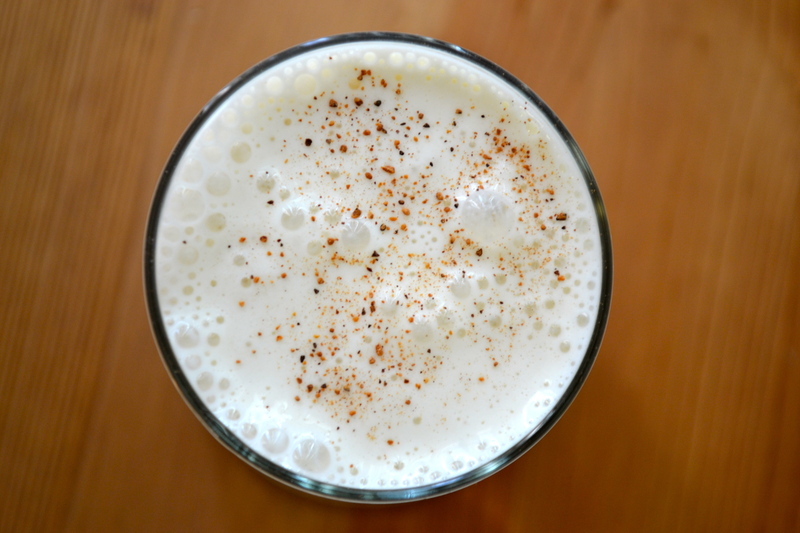 I will be posting vegan recipes for one month, and talking about how my experience is going. Who knows how it will go, but I’m excited to find out! To start off this month, I thought it would be a good idea to begin with the first meal of the day. 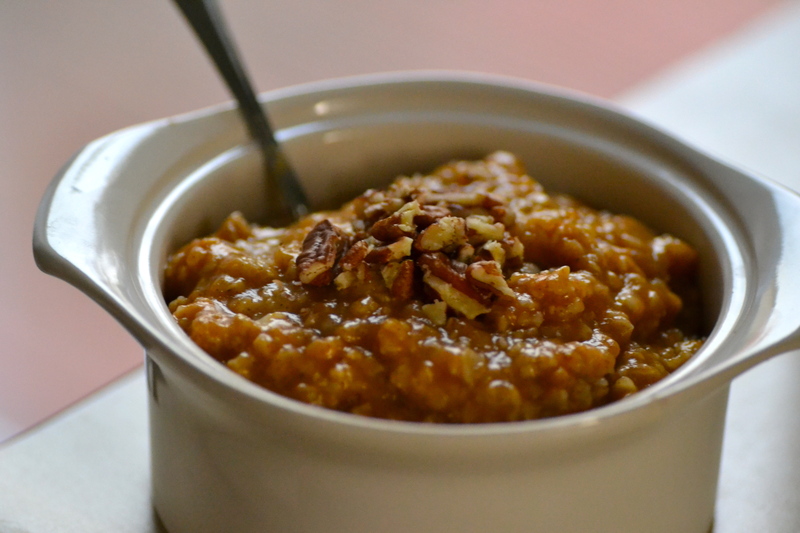 A delicious fall inspired breakfast that is super smooth and delicious. I’m in total love! This is super easy. 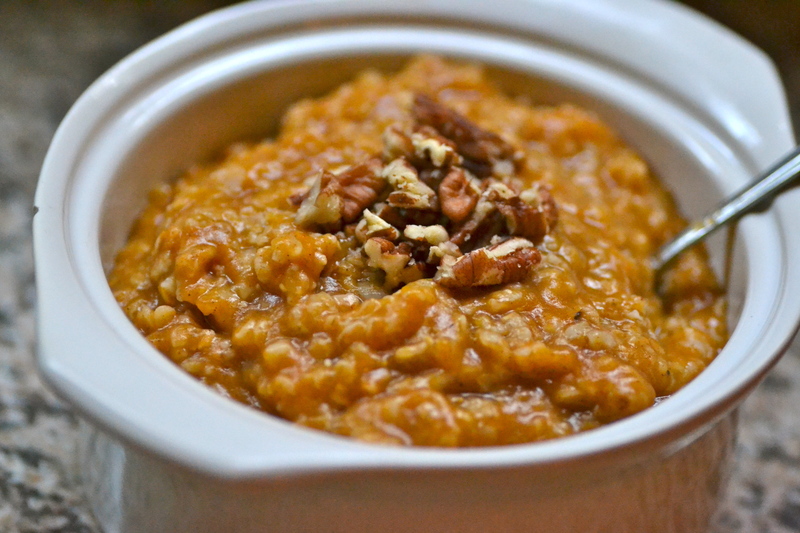 To begin, bring water to a boil over medium heat and stir in oats. Cook for 1 minute, stirring often, then remove from heat. 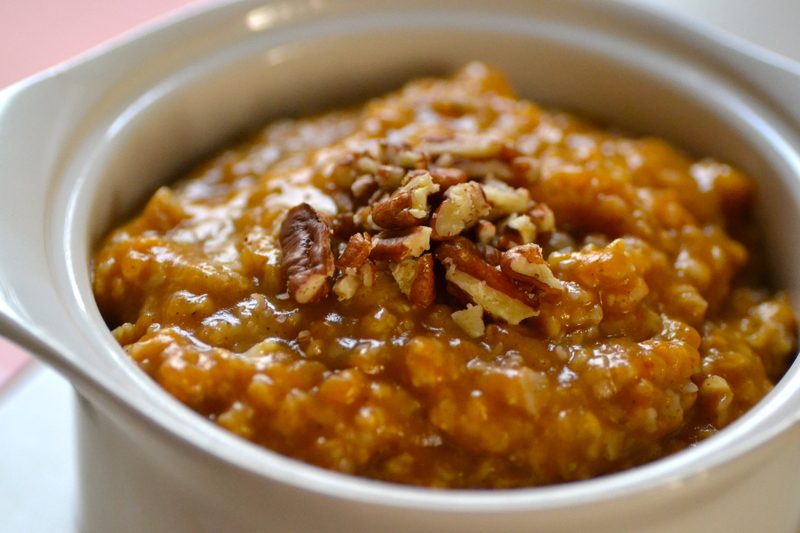 Stir in sugar, pumpkin, cinnamon and nutmeg. 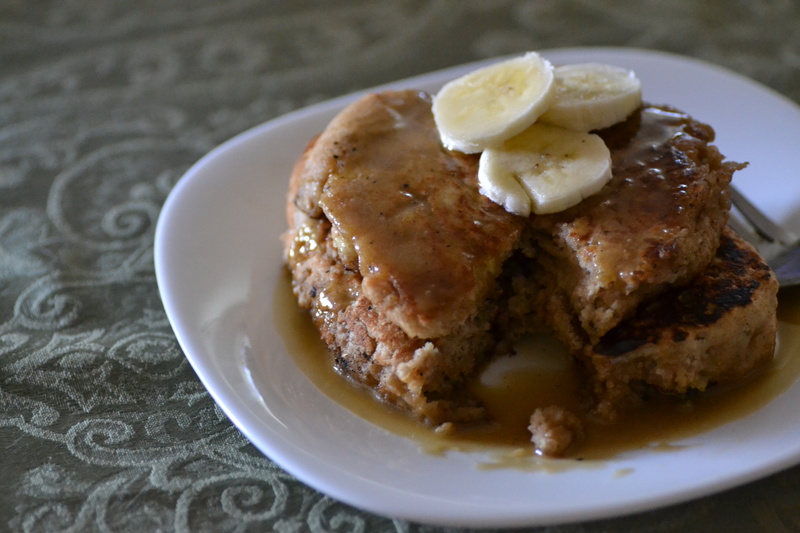 I used 2 Tbsp of sweetener (brown sugar and agave nectar), but feel free to use more or less sugar. It depends on your tastes! 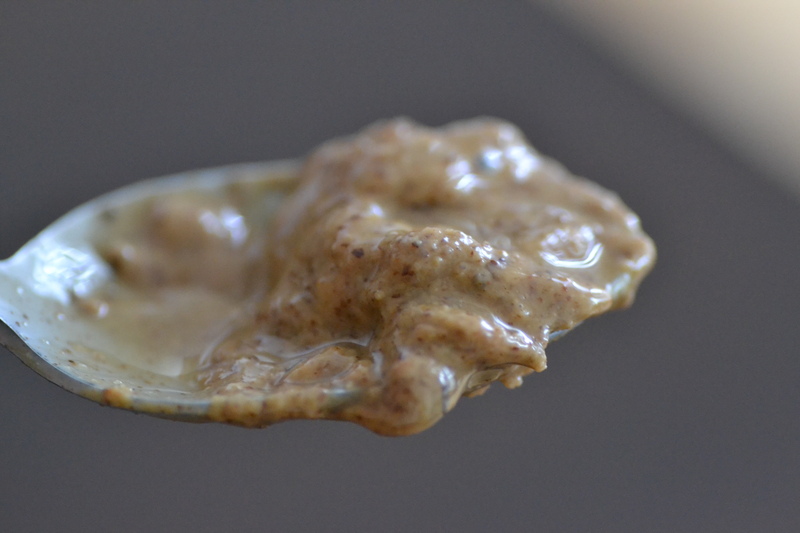 Place oat mixture into a bowl and top with walnuts. Enjoy! Bring water to a boil over medium heat and stir in oats. Cook for 1 minute, stirring often, then remove from heat. 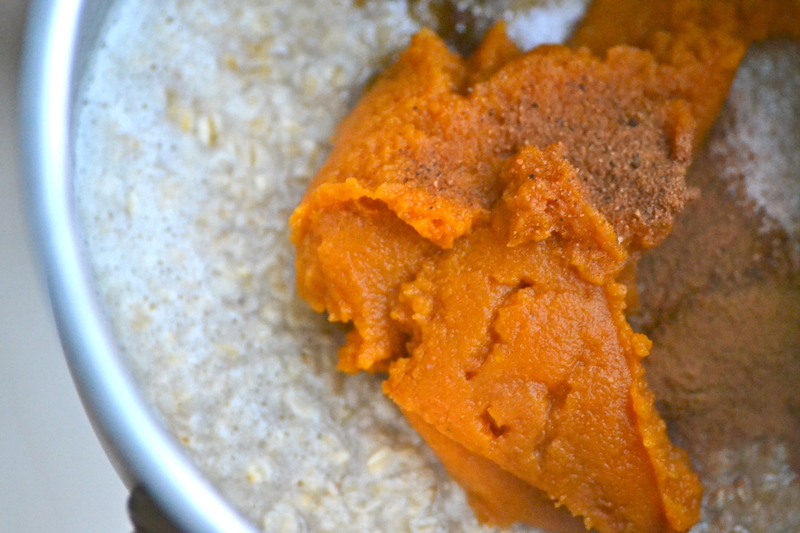 Stir in sugar, pumpkin, cinnamon and nutmeg. 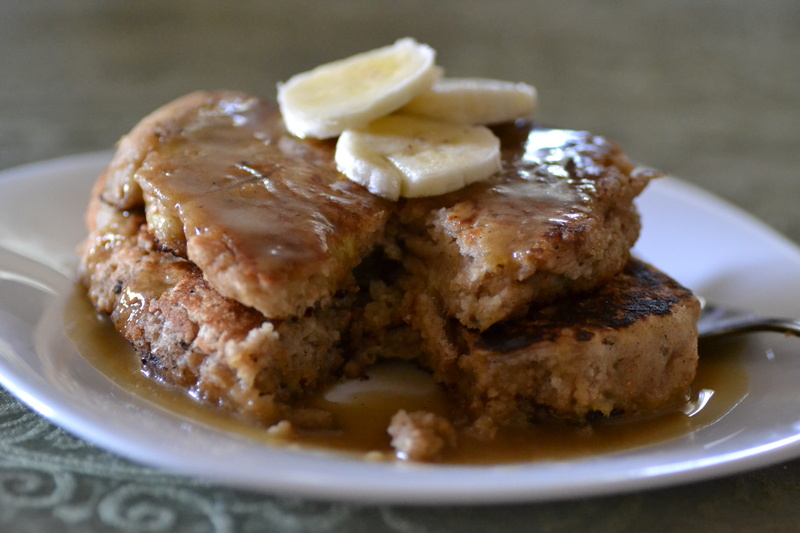 I used 2 Tbsp of sweetener (brown sugar and agave nectar), but feel free to use more or less sugar. It depends on your tastes! Today I’m celebrating an extraordinary woman. Is it her birthday? Nope. But it was last week, and this spunky, hilarious woman turned 95. NINETY FIVE! She’s my great Grandma (“Gran”), and she still drives, lives alone, AND still gives me $20 of “emergency” money every time I see her. What a gal. Let’s make these! 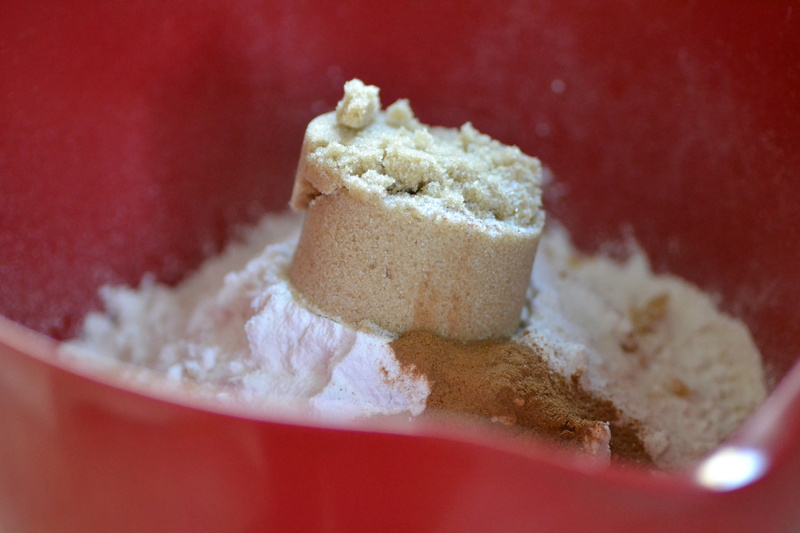 In a large bowl, combine flour, baking powder, sugar, salt, cinnamon, and nutmeg in a large bowl. 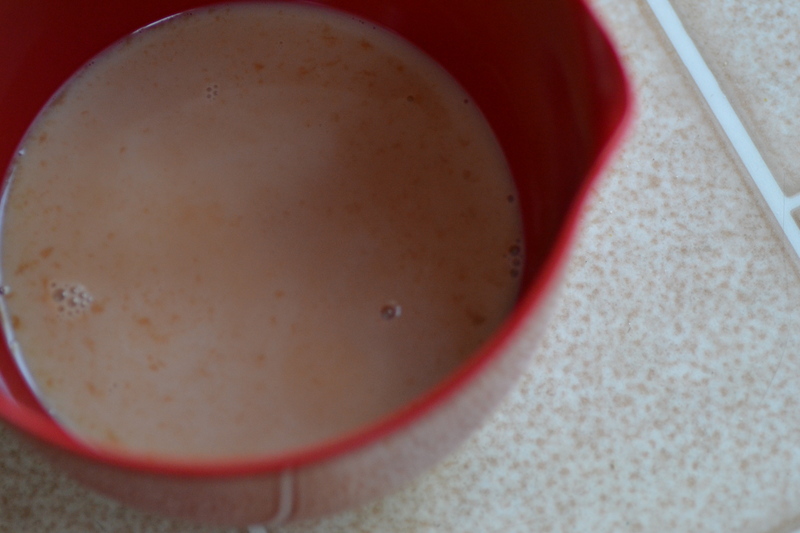 Measure out the milk and add the vanilla extract to it. Add them in to your bowl. Mix! Add in melted butter and stir until batter is somewhat smooth. 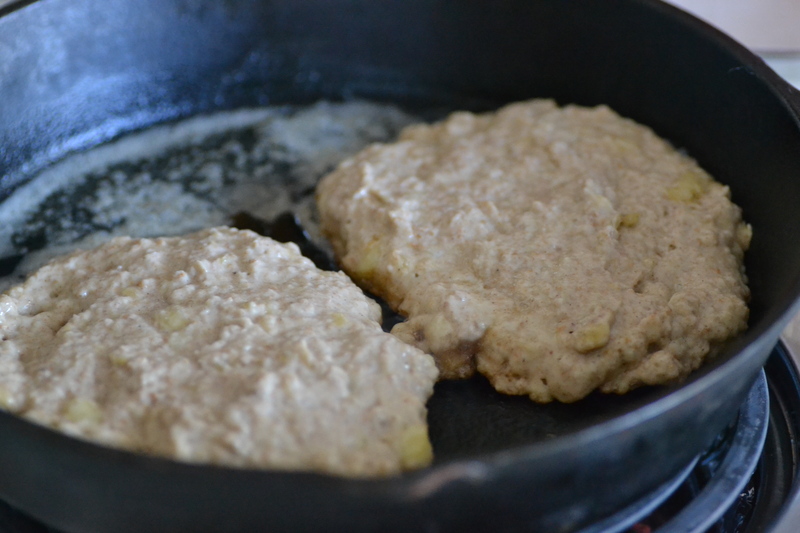 Heat a skillet or grilled on medium heat. 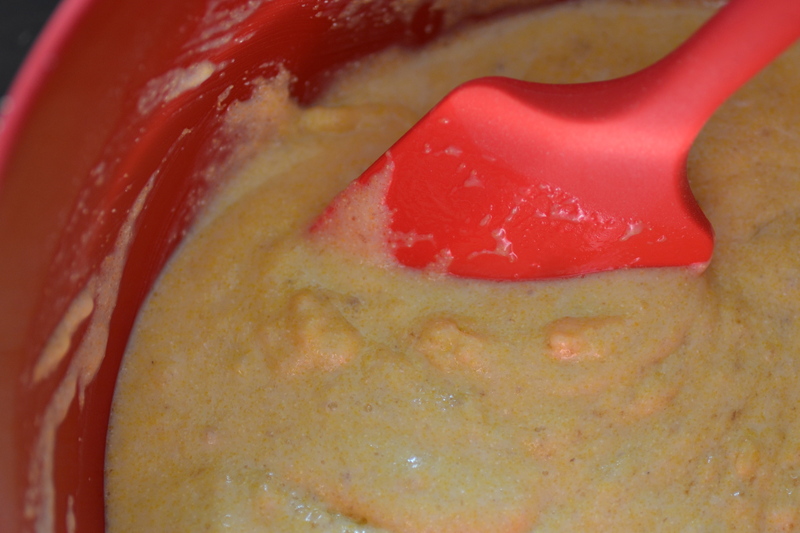 Using a 1/3 cup measure, spoon batter into rounds and flatten the batter with a spatula. Cook until bubbles form on top – about 2-3 minutes. Flip and cook for a minute or two more. Repeat with remaining batter. Combine all glaze ingredients in a bowl and stir until smooth. 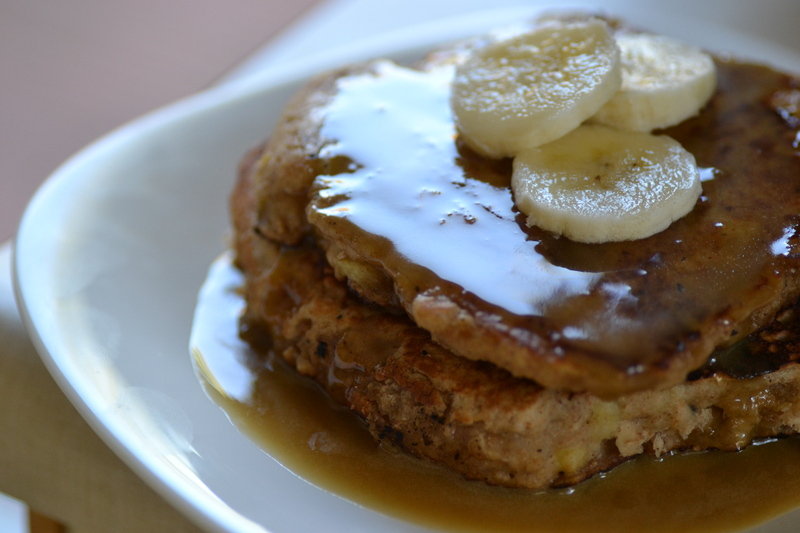 Serve pancakes hot with the vanilla maple glaze. Enjoy! 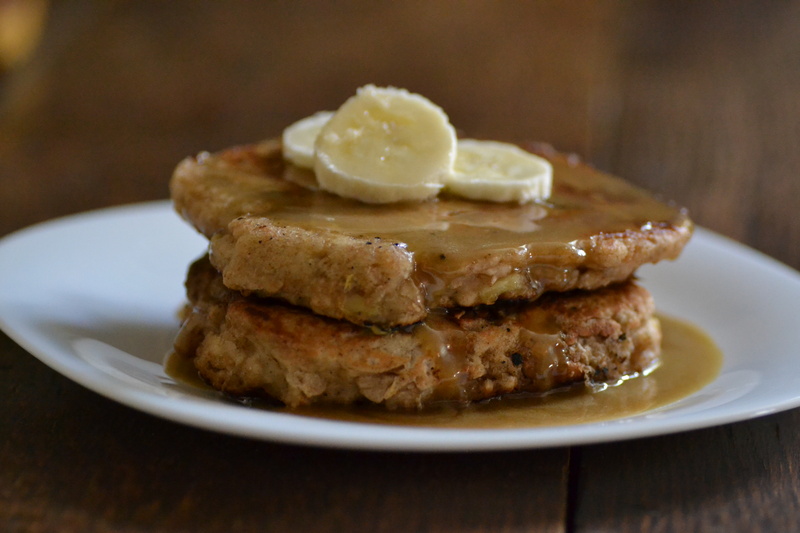 Serve hot with butter and syrup, or the vanilla maple glaze. Happy September! This past weekend the boy and I packed up our car, and moved all of his stuff from Ottawa to Montreal. It was certainly a strange move, one I wasn’t expecting to do a few years ago. But I’m looking forward to when I finish my diploma in Ottawa, and I can move there too. I got back to Ottawa about an hour ago, and looked around at all the packing I need to do for myself, and I can’t help feeling overwhelmed. Moving is simply the worst. And unless my kitty decides to grow opposable thumbs, I’m packing on my own. The good thing about the move I’ll be doing is that I’ll end up living closer to school AND will be living in a house with a big kitchen!! So much is about to happen in this new kitchen, that it won’t even know what hit it. 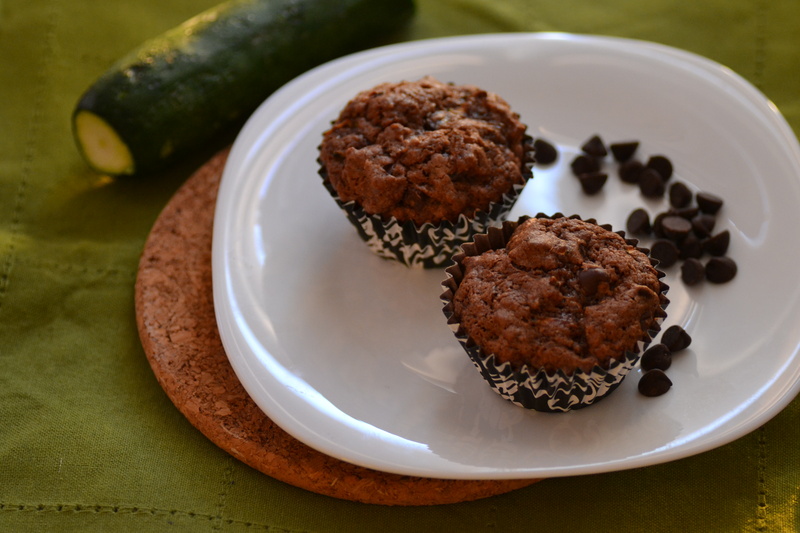 I’m still finding a lot of great zucchini at the farmers market, so I decided to bake up some muffins that will be easy to eat during the moving process. 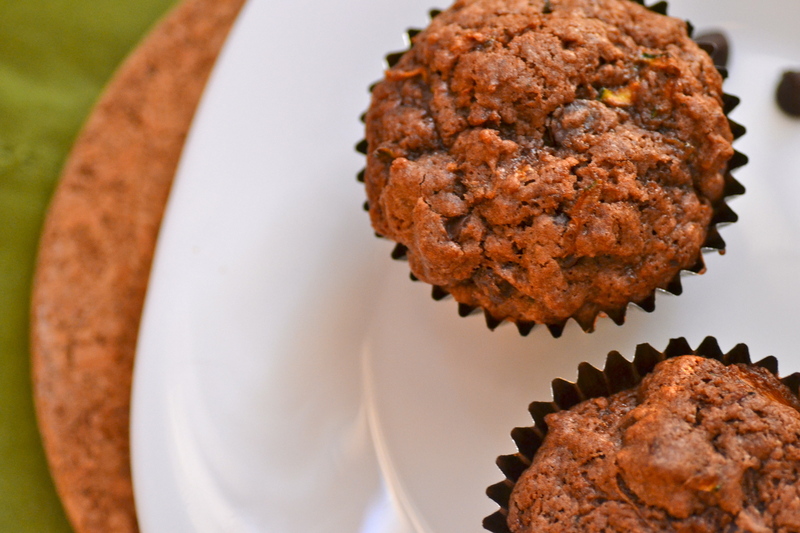 These muffins are jam-packed with chocolate chips and healthy zucchini, and are super moist! I definitely recommend these. To begin, preheat your oven to 350 F and line a muffin pan with paper liners. 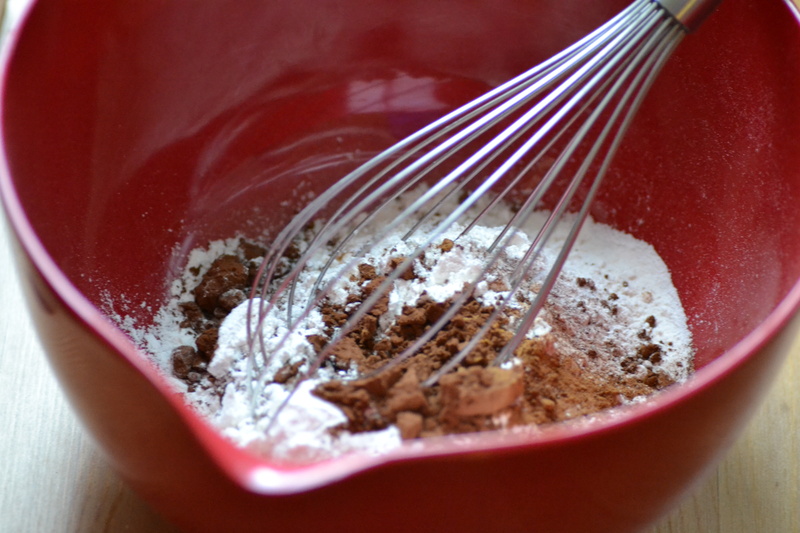 Then in a medium bowl, whisk the flour, cocoa powder, cinnamon, baking soda, baking powder, and salt together. 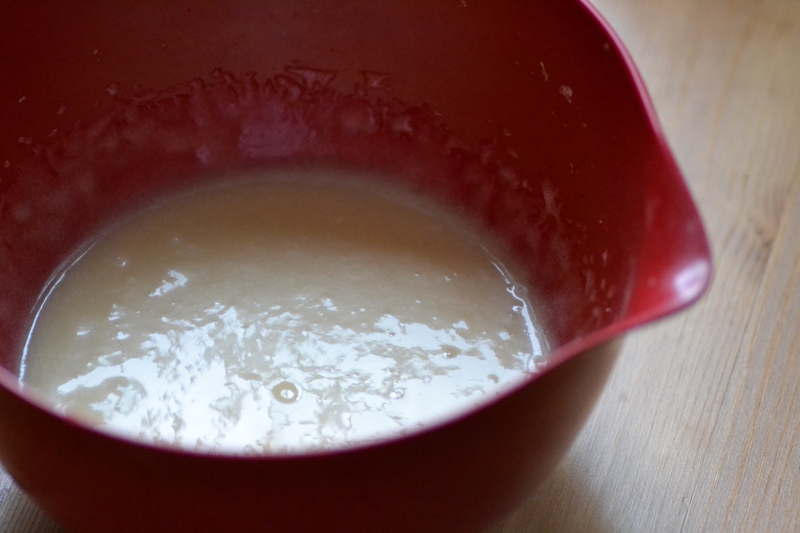 In another bowl, beat the sugar, oil, egg, and vanilla on medium speed until thick and creamy, about 2 minutes. 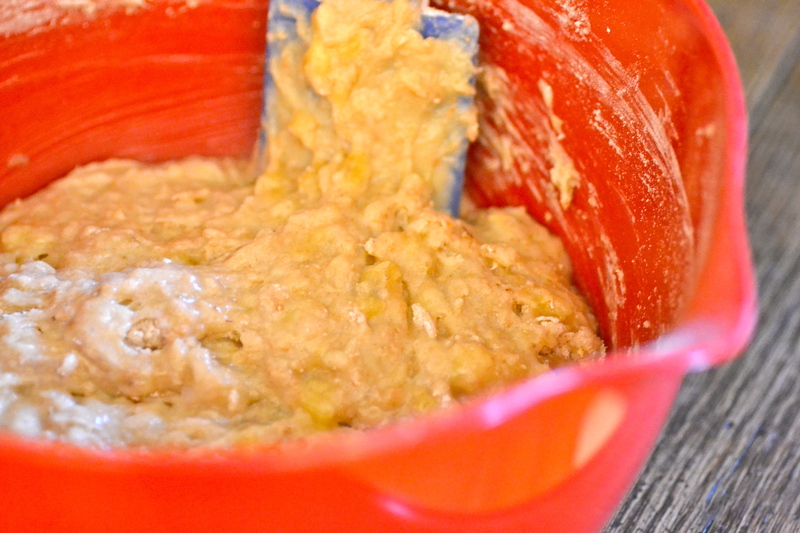 With the mixer on low, add the flour mixture and beat just until incorporated. 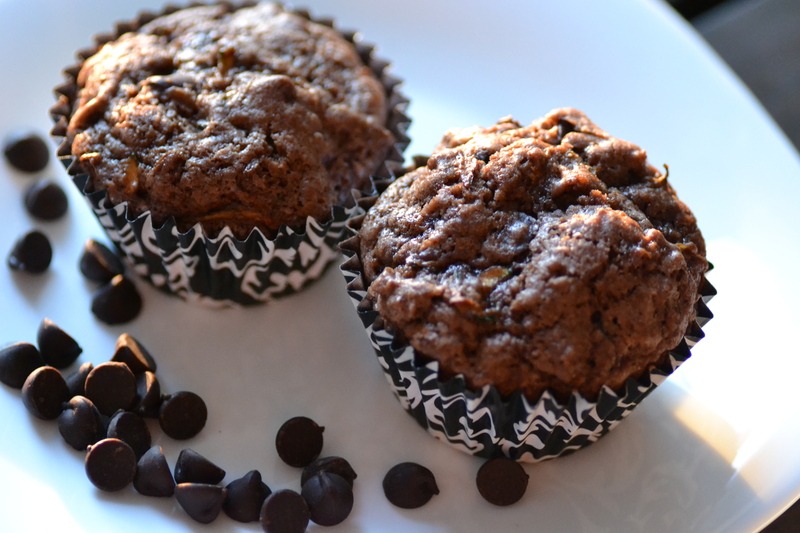 Use a rubber spatula to fold in the zucchini and chocolate chips. 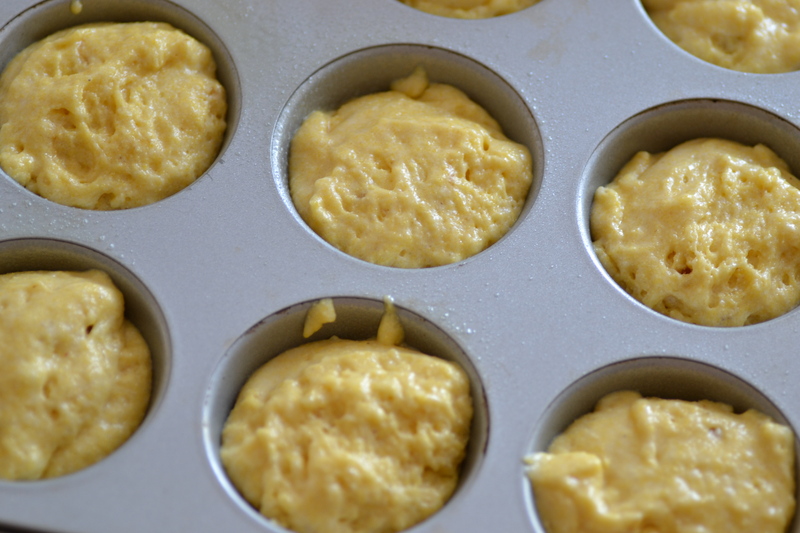 Divide the batter evenly among the prepared liners. Bake for about 30 minutes, or until the tops spring back when lightly pressed. Transfer the pan to a wire rack and let the muffins cool for 5 minutes before removing them to the rack to cool completely. Enjoy! 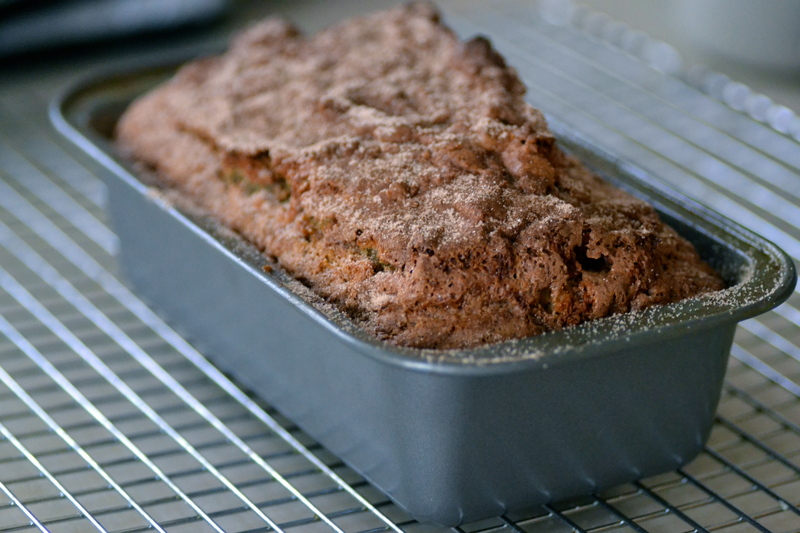 In a medium bowl, whisk the flour, cocoa powder, cinnamon, baking soda, baking powder, and salt together. 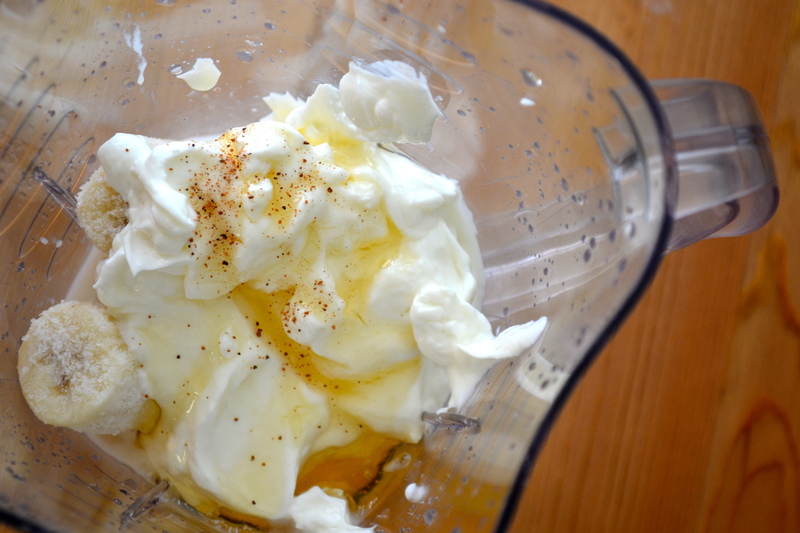 In the bowl of a stand mixer fitted with the paddle attachment, beat the sugar, oil, egg, and vanilla on medium speed until thick and creamy, about 2 minutes. 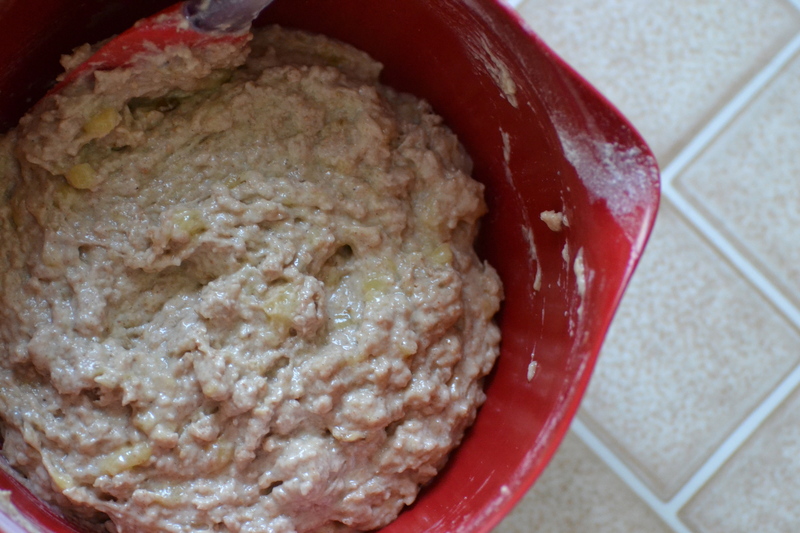 With the mixer on low, add the flour mixture and beat just until incorporated. 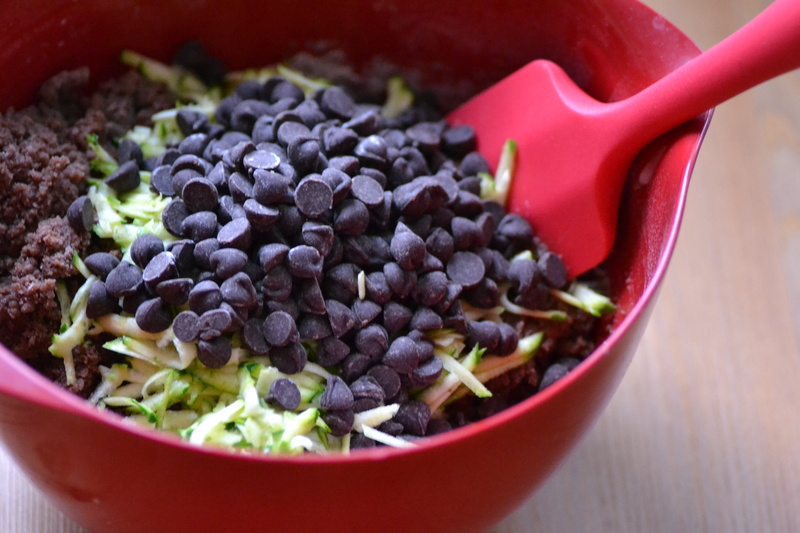 Use a rubber spatula to fold in the zucchini and chocolate chips. Divide the batter evenly among the prepared liners. 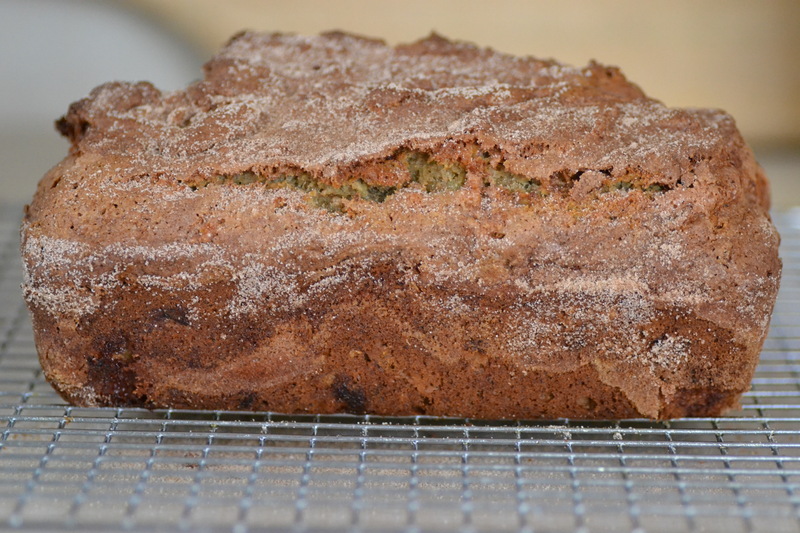 Bake for about 30 minutes, or until the tops spring back when lightly pressed. Transfer the pan to a wire rack and let the muffins cool for 5 minutes before removing them to the rack to cool completely. This weekend the boy and I rented a canoe, put it on a lake, pitched our tent and said BYE to technology. We spent the days reading, canoeing on the lake, making s’mores and loon hunting, and boooooy was it nice! During the week I sometimes feel a bit overwhelmed with all the things that need to get done – and I realized something this weekend. HALF of these so called “important” things that need doing aren’t important at all! In fact, no one would even notice if I didn’t do them. and I certainly don’t NEED to read food blogs for 2 hours a day (although I love it). So here we are. Back to basics. And with that thought I’d share with you an old and simple favorite of mine. 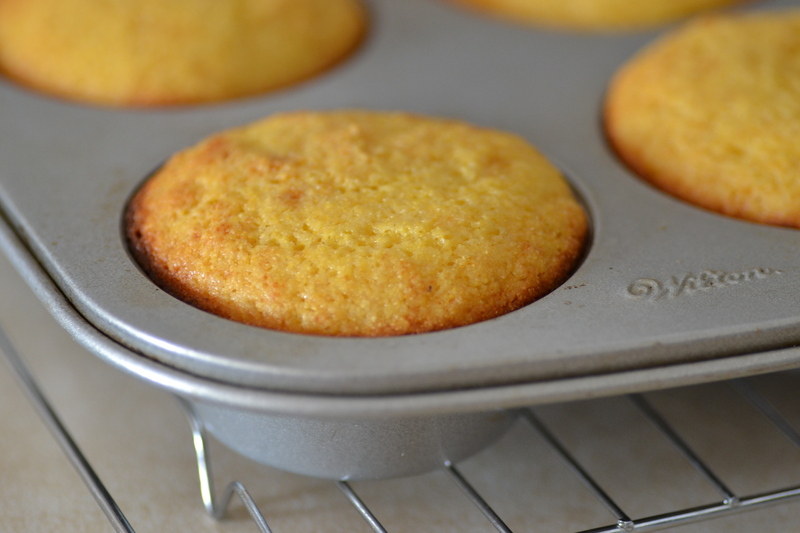 Cornbread, baby. To make these, preheat the oven to 400 degrees. 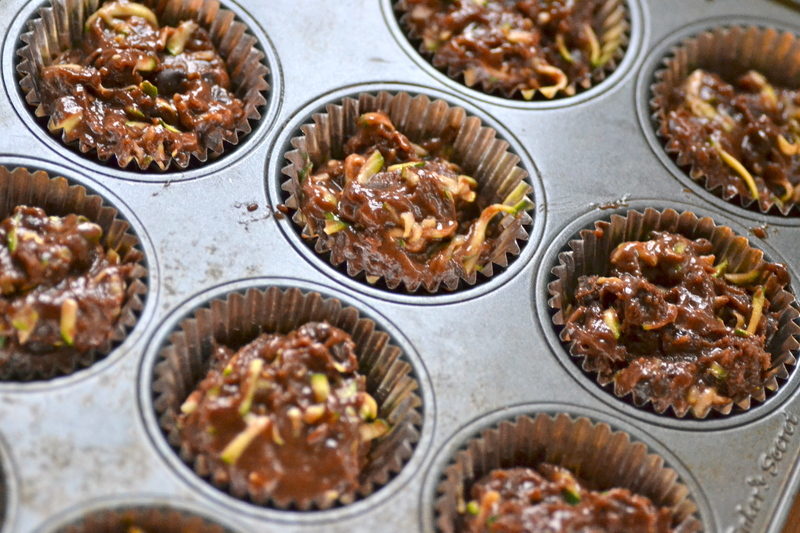 Spray each cup of a standard 12-cup muffin pan. 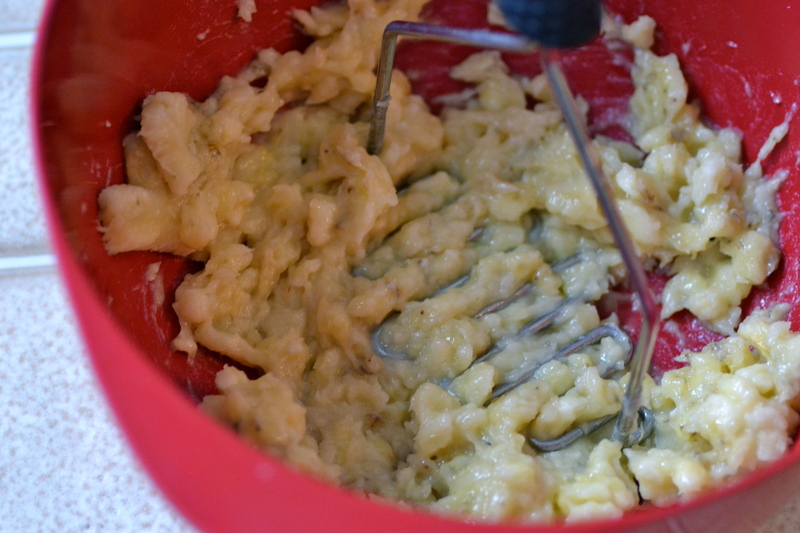 In a medium bowl lightly whisk the eggs. 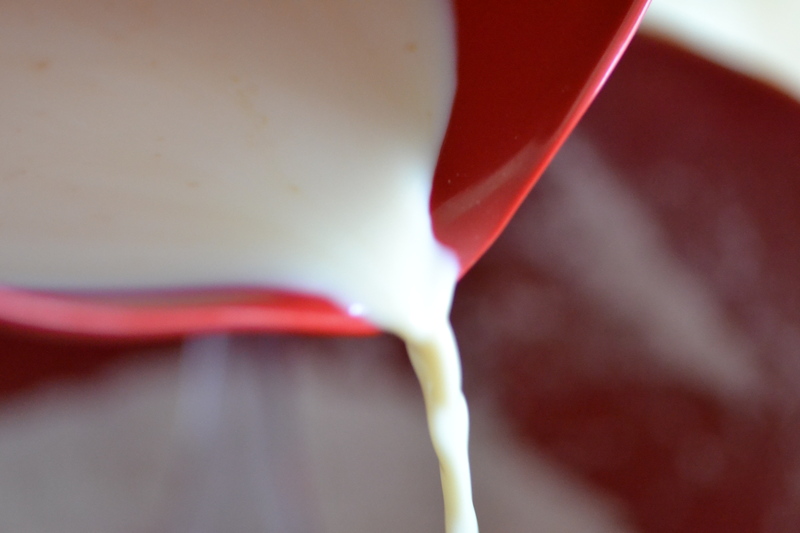 Then whisk in the buttermilk, honey and butter until combined and set aside. 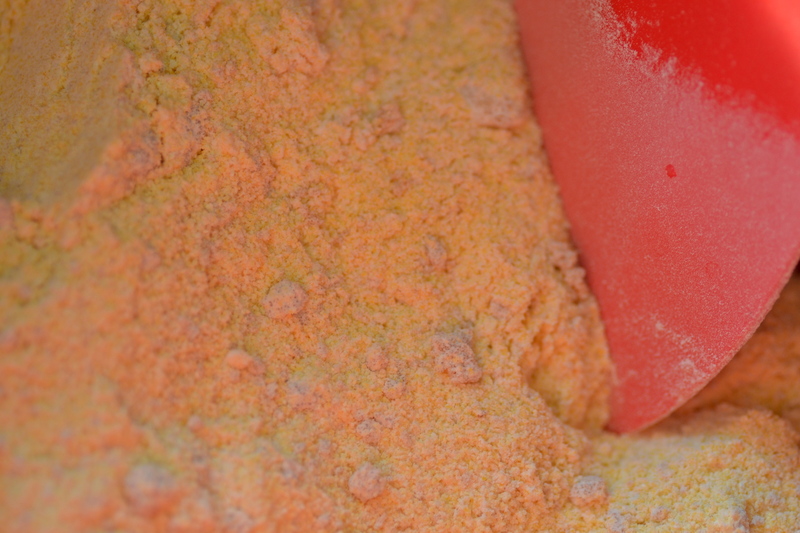 In a large bowl, whisk cornmeal, flour, baking powder, both sugars and salt. 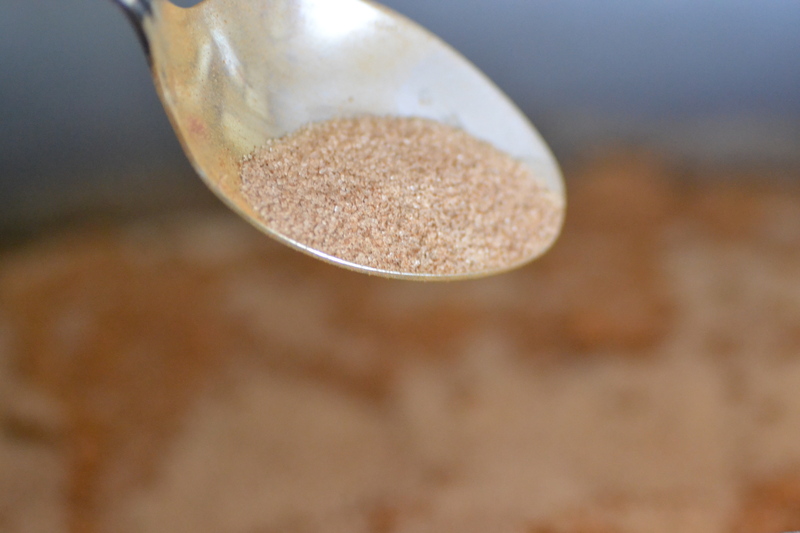 Make a well in the middle of the dry ingredients, pour in the wet ingredients and fold the dry into the wet until just combined. 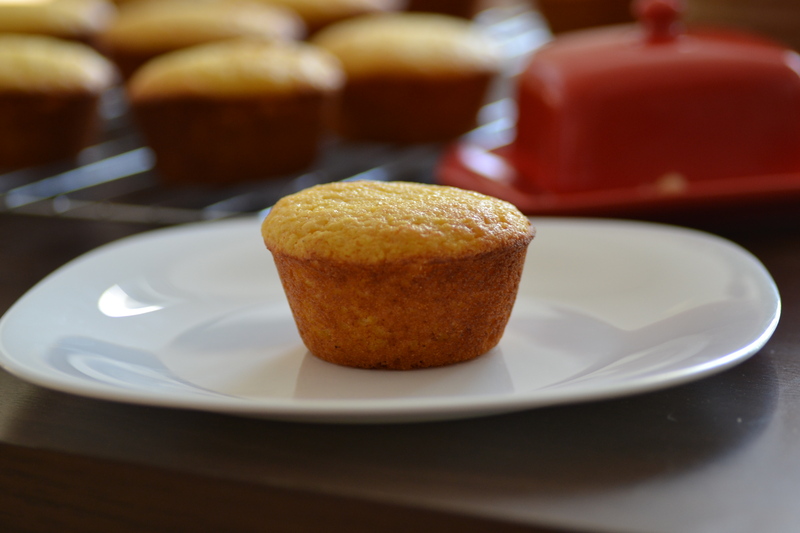 Bake for 12-15 minutes or until the tops are golden brown and a toothpick inserted in the center of a muffin comes out clean. Transfer to a wire rack to cool for 10-15 minutes and enjoy! 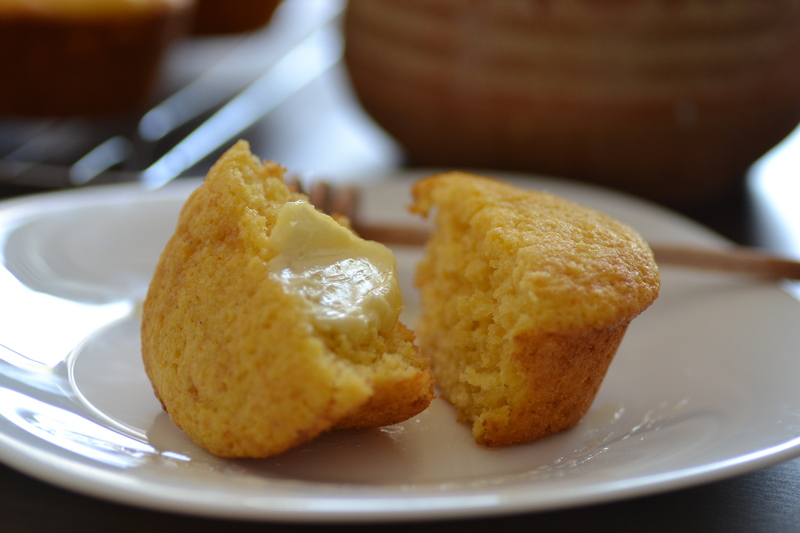 Slathering warm muffins with butter is a must! Preheat the oven to 400 degrees. Spray each cup of a standard 12-cup muffin pan with nonstick spray making sure spread evenly along the bottom and up the sides of each cup. 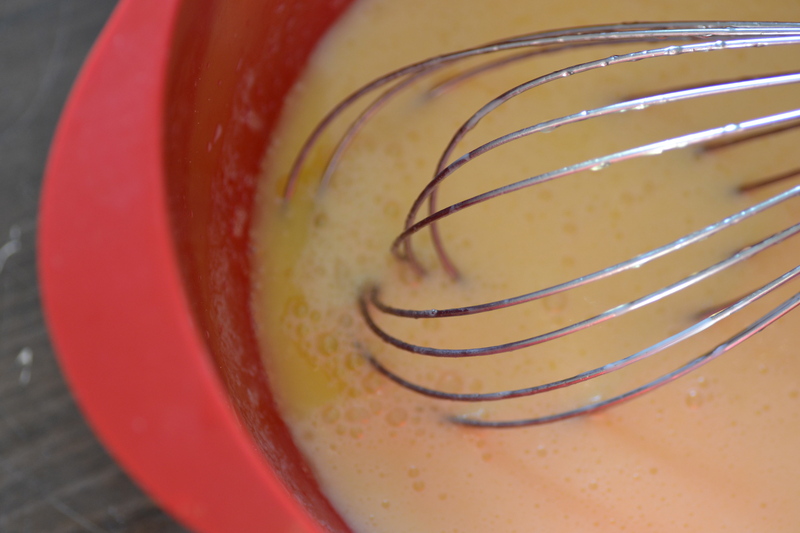 In a medium bowl lightly whisk the eggs. 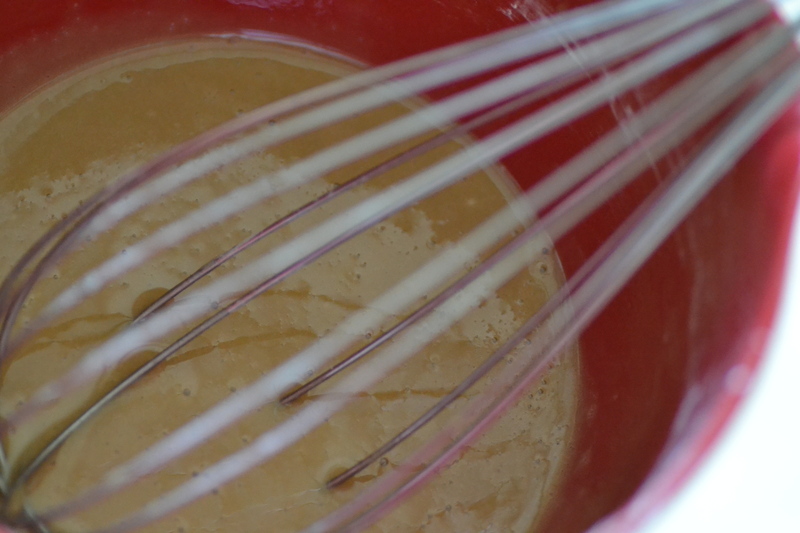 Then whisk in the buttermilk, honey and butter until combined and set aside. 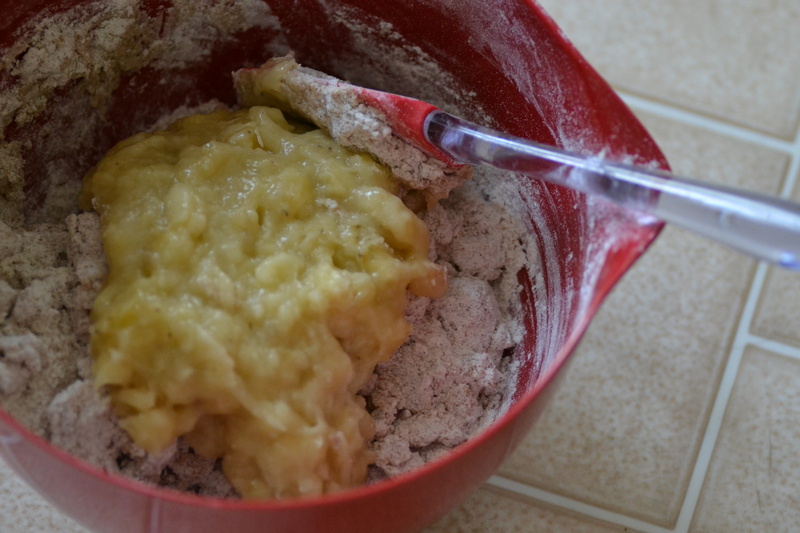 In a large bowl, whisk cornmeal, flour, baking powder, both sugars and salt. Make a well in the middle of the dry ingredients, pour in the wet ingredients and fold the dry into the wet until just combined. 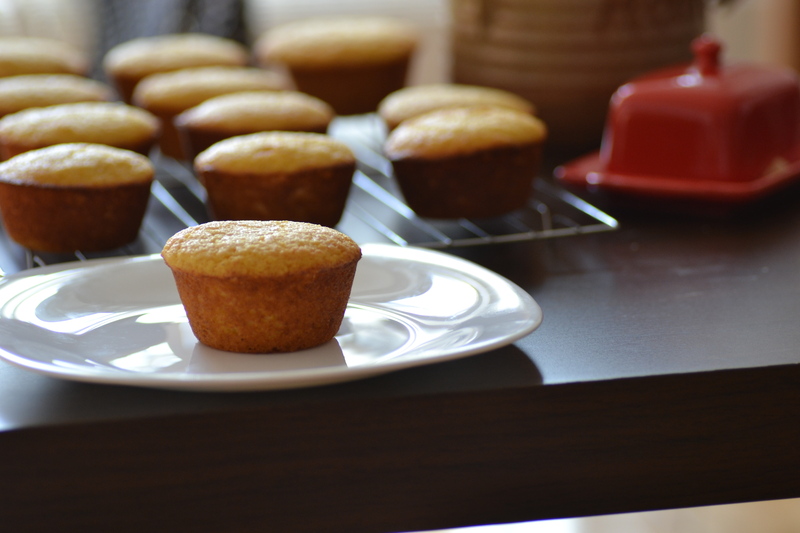 Fill each muffin cup about three quarters full. 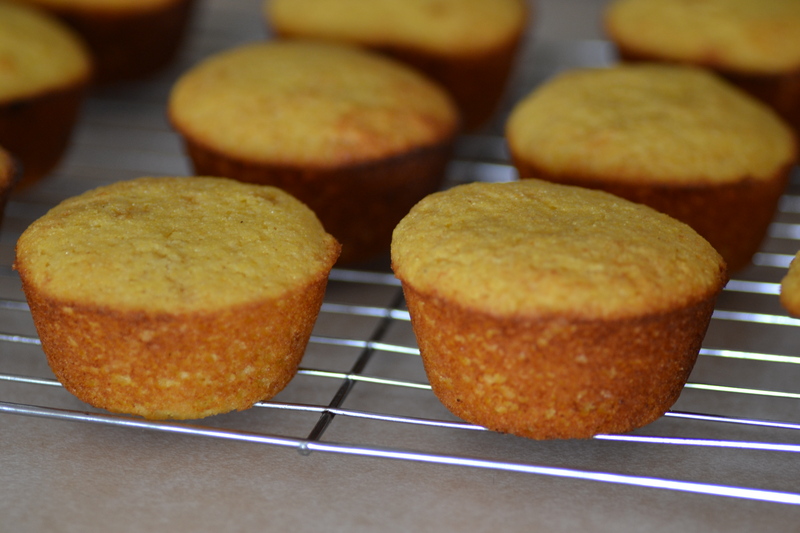 Bake for 12-15 minutes or until the tops are golden brown and a toothpick inserted in the center of a muffin comes out clean. Transfer to a wire rack to cool for 10-15 minutes and enjoy. 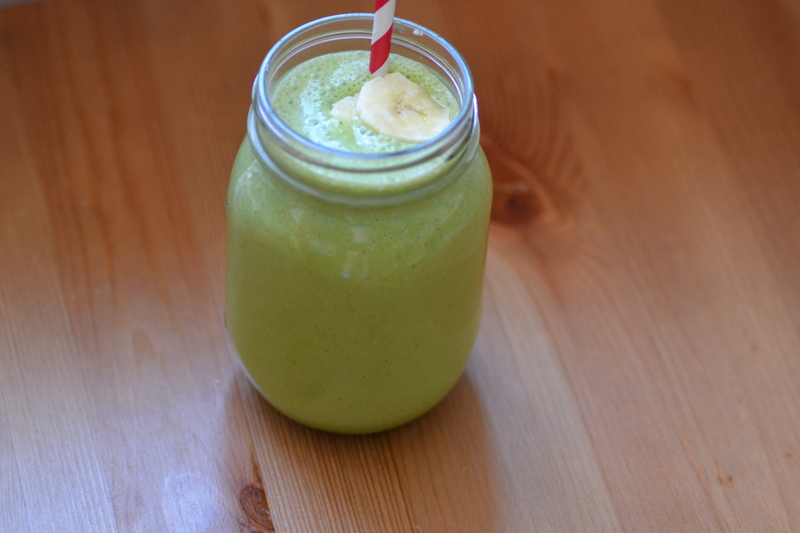 Another smoothie? YES! And if you’re new here, hi! 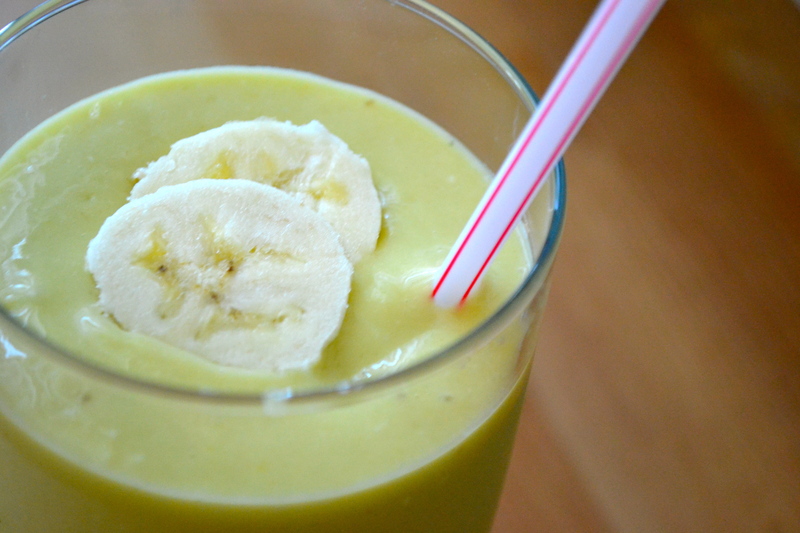 Hope you like smoothies. 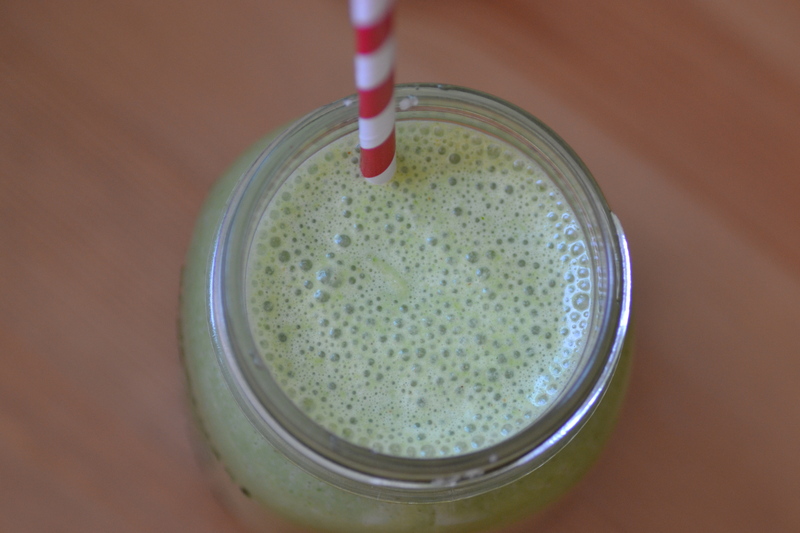 This is the last blended awesomeness I have for you this week. I had so much fun doing this! Actually, I got so into it that I ended up making waaay more than 5 smoothies. So, I’ll have a bunch to share with you at a later date, which is exciting. 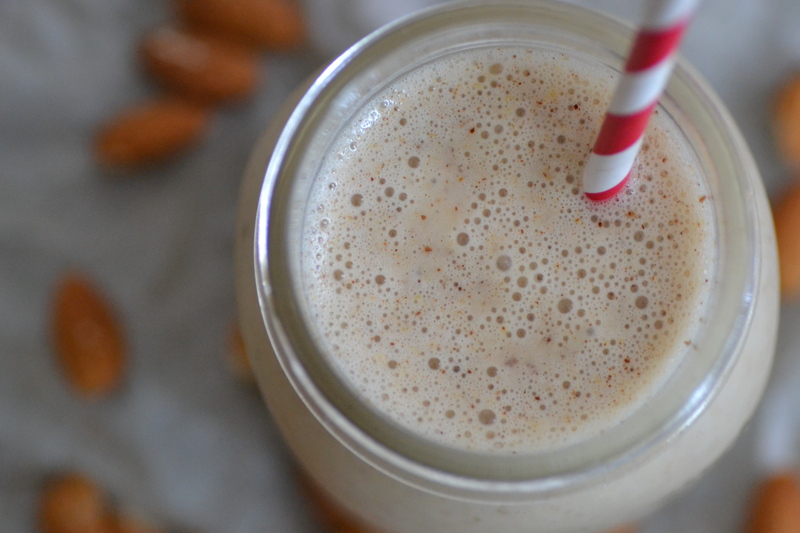 This smoothie is truly full of goodness. 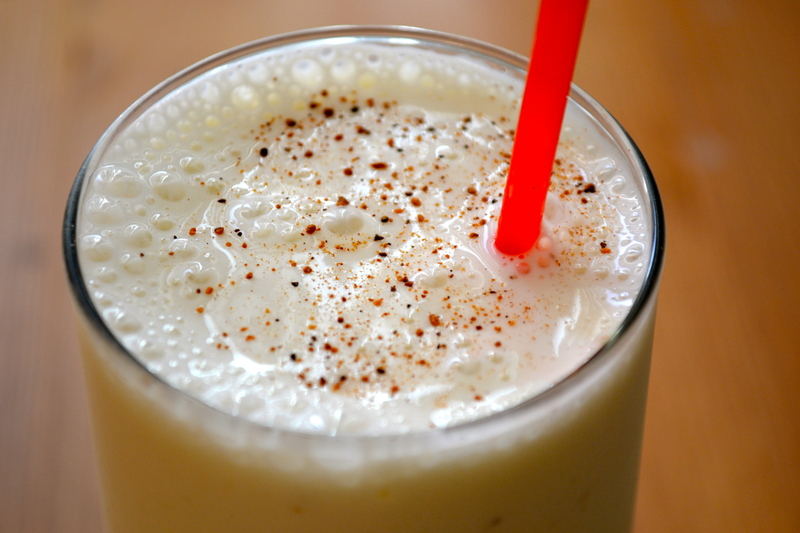 Greek yogurt, banana, honey, and almond milk blended together to help you beat the heat. And boooooy do I need this! And don’t forget to enter my giveaway that ends this Sunday! Yes, I said Saturday before, BUT I’m going camping this weekend and will be without internet for a few days. Silly me. 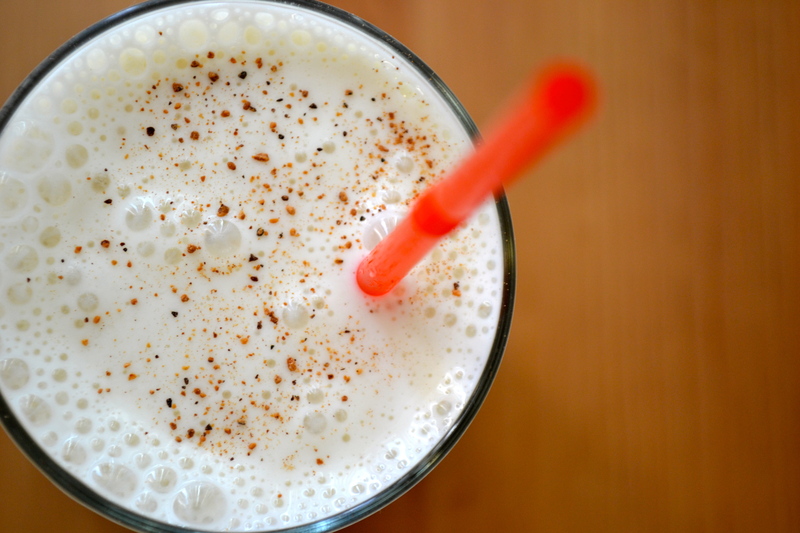 Combine milk, ice, honey, nutmeg and the banana in a blender. 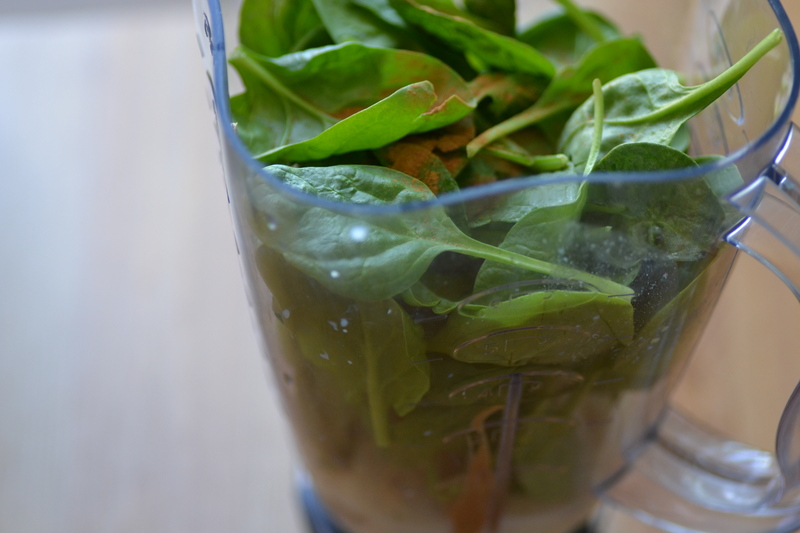 Press the top on tightly then process for 2 minutes or until smooth. 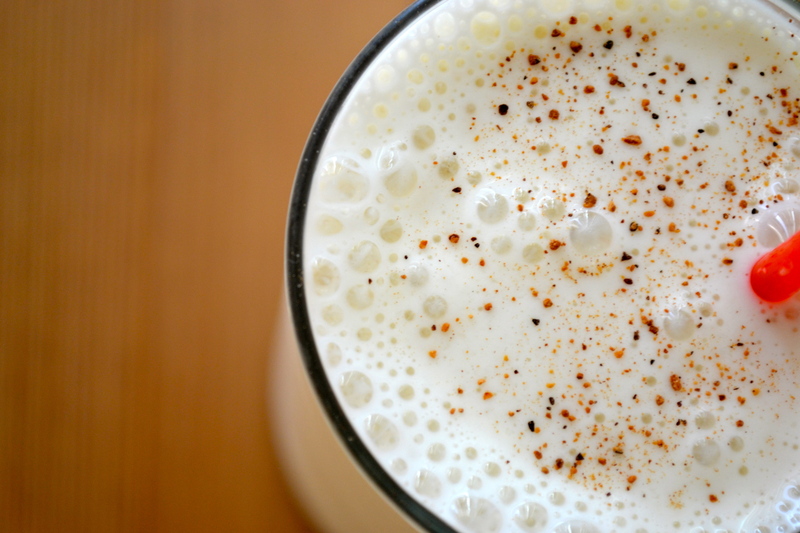 Add the yogurt and process just until blended and serve! Something super exciting is happening this weekend – I’m going camping on a lake with my boy! Another item that will be checked off of my summer bucket list. Awesome! As I mentioned before, I’ve already gone strawberry picking and made my own strawberry jam, so this will be the second thing to check off! I am kind of cheating though…you see, camping is something my boy and I try to do as much as we can anyway. It’s so nice to get away from the city and spend time together. Plus, we just bought a new fancy tent and seriously need to check it out. 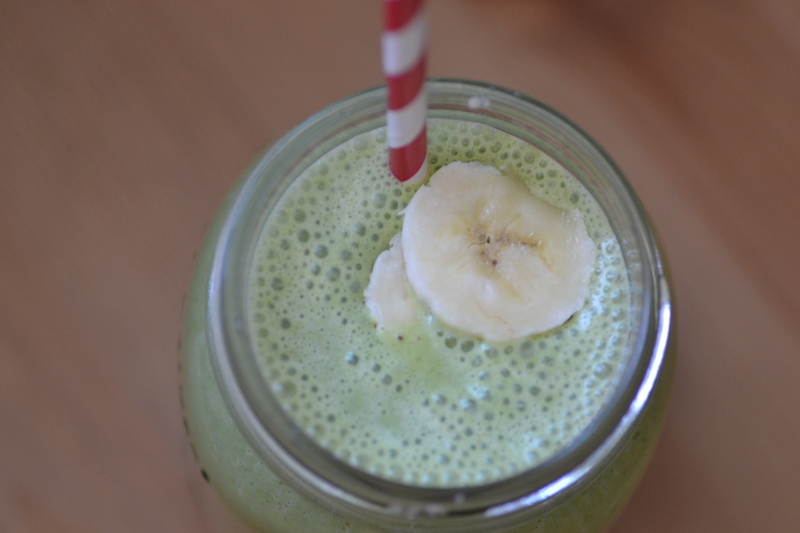 I made this smoothie this morning and absolutely love it! 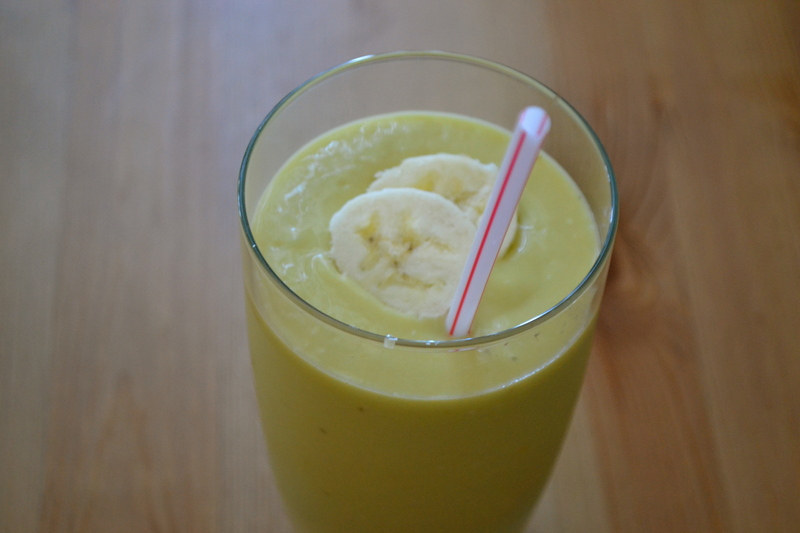 I have issues with frozen pineapple, an usually hate it, but totally loooove it in this smoothie! The avocado makes it totally delicious. You must try! 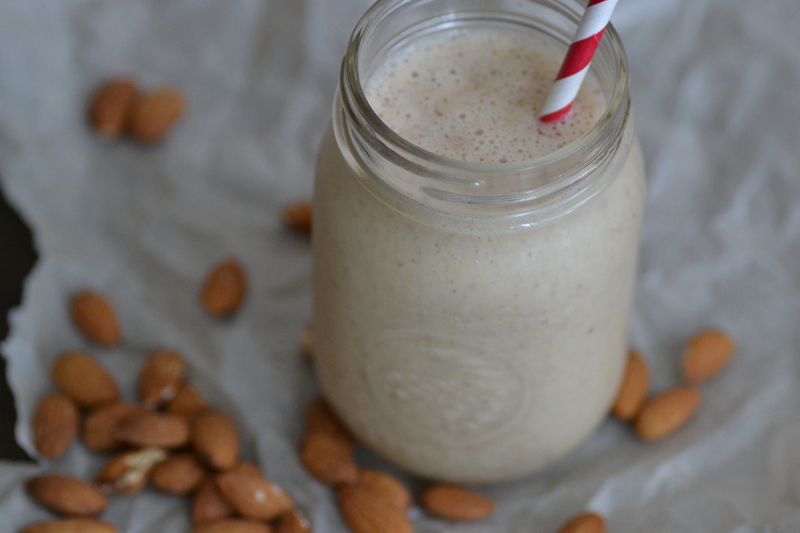 All you need to do is throw all of your ingredients into a blender and blend until smooth. Voila! OH! 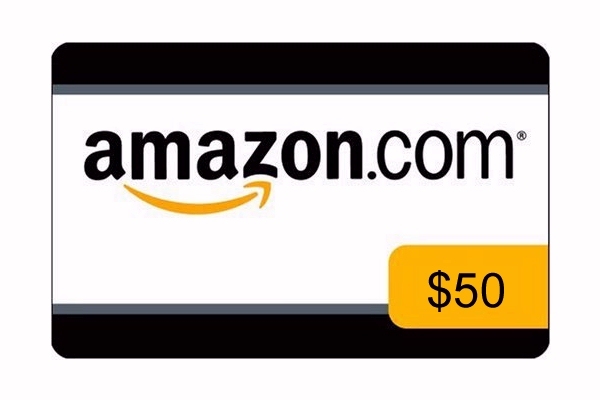 And don’t forget to enter my giveaway for a $50 Amazon gift card! Contest ends on Sunday. Good luck! 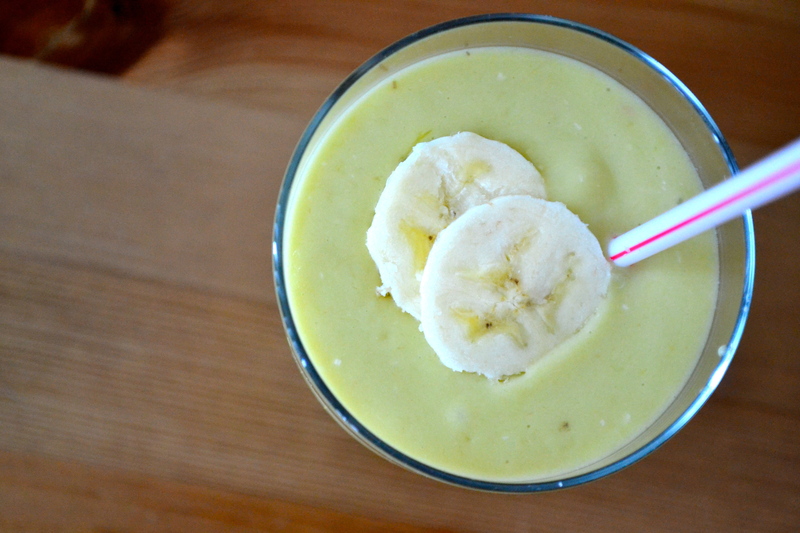 Throw all of the ingredients into a blender and blend until smooth. Pour into a glass and enjoy!